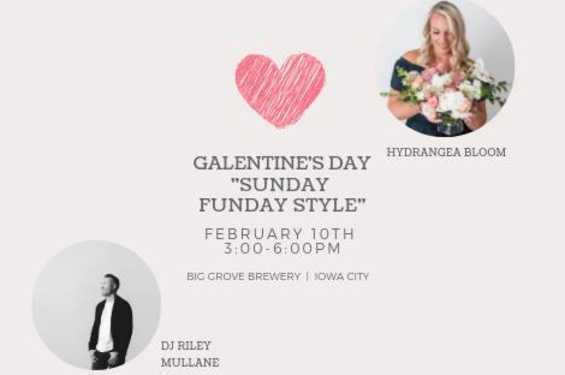 Grab your girlfriends for Sunday fun day Hydrangea Bloom style. This will be a party you do not want to miss! We will lead you through a Valentine's centerpiece full of beautiful blooms in a beautiful vase. DJ Rilley Mullane will keep the party going as he mixes some great tunes! Ticket includes 1 drink ticket, music, and at the end you get to take home a gorgeous floral centerpiece.